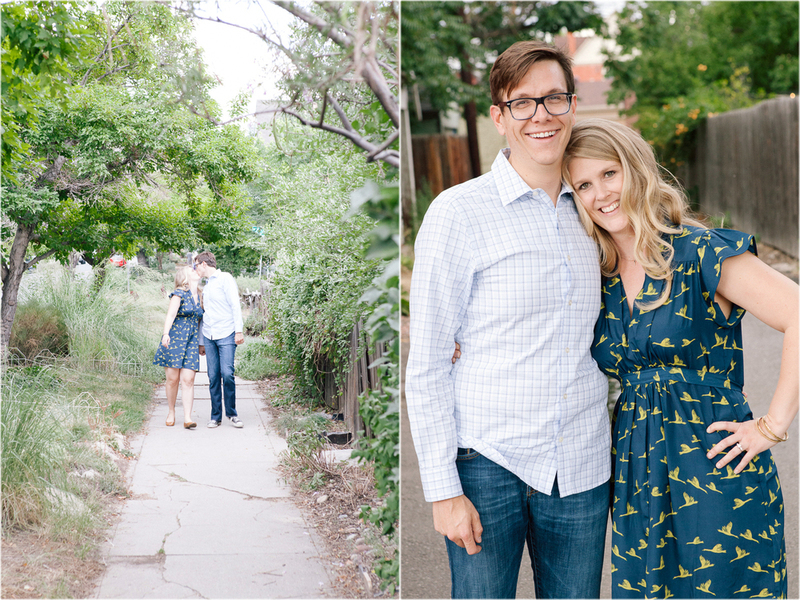 JED AND ELIZABETHS NEIGHBORHOOD ENGAGEMENT SESSION IN DENVER, COLORADO. The last time I was in Denver, I was there playing a concert with my band. 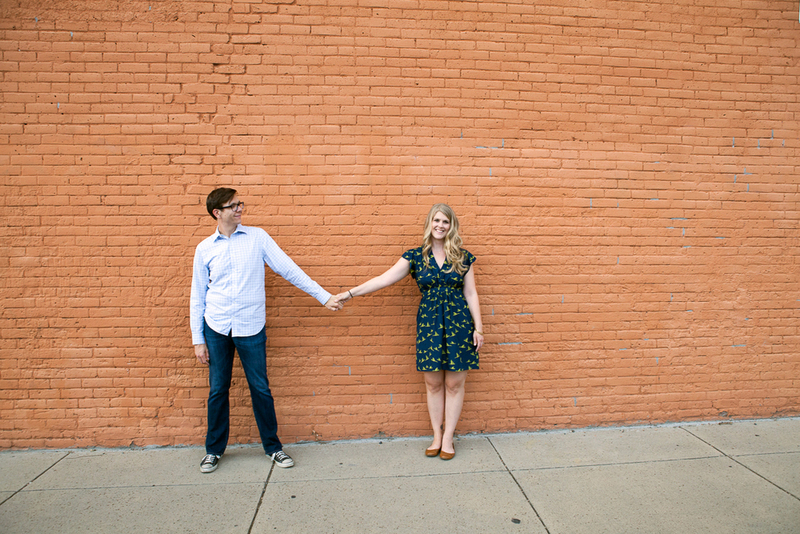 I had a little down time so I hopped over to Jed & Elizabeth's house for an hour to shoot some engagement photos. We took a walk around their neighborhood and they showed me the spots where they like to hang out. 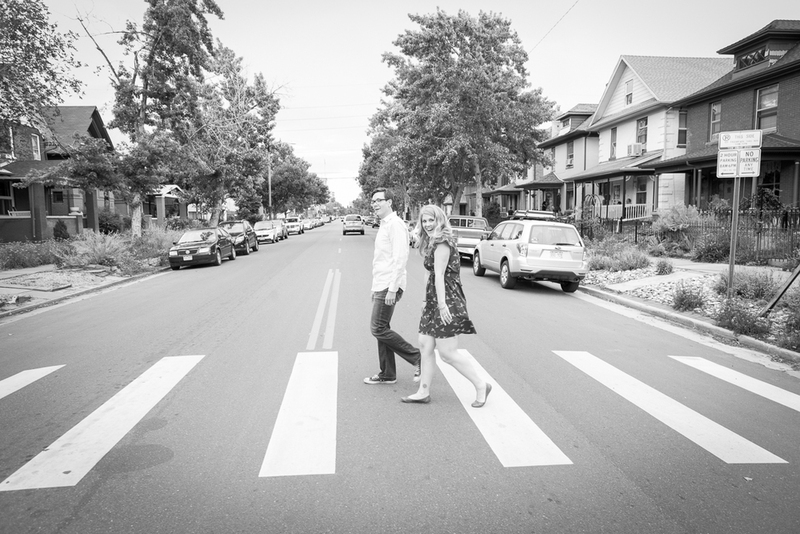 I walked with them and chatted while snapping pictures. These are my favorite kinds of encounters. Where the smiles aren't forced. Casual and easy going, good conversation. A beer at your favorite neighborhood dive bar followed by lounging in the backyard and dipping your toes in the kiddy pool. 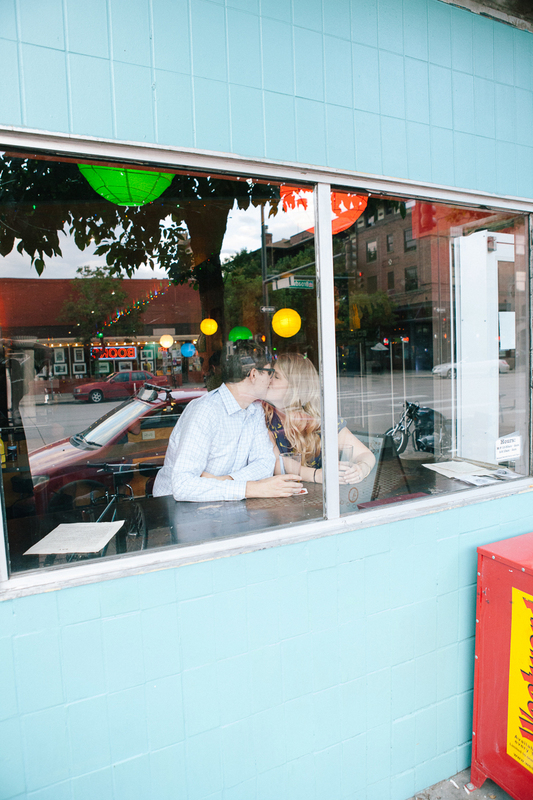 Engagement photos taken by Sioux Falls photographer Wes Eisenhauer in Denver, Colorado.